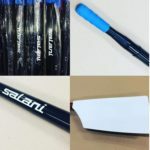 SALANI OARS: THE NEXT CHOICE! 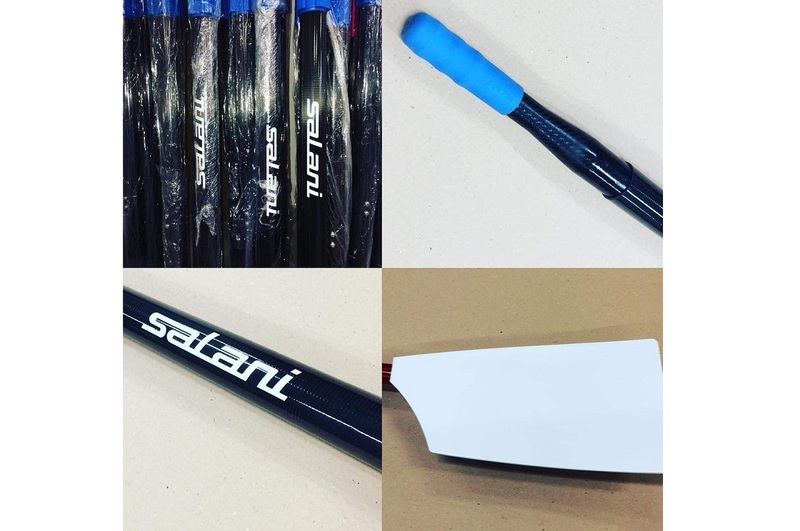 6\12\2018 Seen the great request by Rowing Club and masters, about having good quality and cheap oars, we are proud to annunce a new kind of rowing oars by Salani, that match those needs. This oars are suitable for recreational rowing and training sessions, especially for beginners. The types avaible are with macon and big blade. The lenght could be fixed or regolated by traditional inox nuts set along the shaft and close to the handle. The lenght of the sculling version with macon blade is 295 cm and the regolated one have the min\max measures of 290/300. The big blade version has the min\max measure of 285/295 cm. In the sweep, the lenght of macon version is 380 cm and the lenght of big blade one is 366/377. The blade is in sandwich produced with epoxy resin and high density foam materials to grant a good ratio between weight an stiffness. The material used to produced the shaft are carbon and glass fiber to favorite a good proportions between stiffness and weight. 3. Light 80% carbon – 20% glass 1,40 (+\- 20 gr) kg per oars.